Imagine, if you will, starting out on a journey with no goal in mind, or perhaps just the foggiest notion of where you are going. Reading, for me, is very much like making art. There is no map, no specific destination, and it requires a certain ability to live with uncertainty. The interesting thing is that, in both art and reading, after a series of canvases have been painted or a number of books have been read, the way becomes much clearer. It could also be compared to unpacking a new town. The streets you wander down may seem disconnected, but after a couple of weeks, the outline of your idea of this new place becomes more concrete. Say, for instance, you are a foodie. Well then, the map of this new town shows you the way to the grass-fed meat at the best organic butcher, or where you need to go to pick up your CSA veggies, or which grocery carries raw milk cheese. And the butcher might suggest where to get pasture raised eggs, or the grocery might know where you can compost. 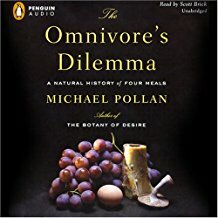 It is very much the same thing when I read: start with Wendell Berry, and he suggests Barbara Kingslover, then she points to Michael Pollan, while he references Joel Salatin; and before you know it, there is a very concrete bibliographical map of readings in the organic sustainable food movement. 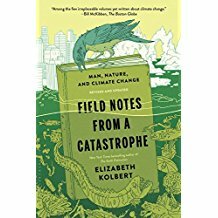 I think of these writers on sustainable farming and healthy food as a neighbourhood, different than, but walking distance to Bill McKibbon, Elizabeth Kolbert, and Naomi Klein which might be described as the political neighbourhood. The atmosphere is different, but the underlying concerns are intimately connected. And when I pull back and see the map of this city that I have been exploring through all the denizens of these neighbourhoods, I realize that this list of books maps a way into the future.